Google has officially announced that it will consider page speed as a ranking factor for mobile searches from July 2018. While page speed has always had some importance on rankings, it has been purely focused on desktop. But, as searchers – and the world – become increasingly reliant on mobile devices, the time for slow, unresponsive sites is over. Google insists that the so-called “Speed Update” will only impact sites that deliver the poorest user experience and thus, affect a small number of queries. They will also consider search intent when evaluating a page and vouch they will still rank relevant content highly, regardless of how quickly the page loads on mobile. So, if you’ve got outstanding content you can rest easy, right? Not exactly. Google themselves have admitted there is (currently) no tool available to indicate whether your site will be affected by this update or not, so resting on your laurels is not an option. Luckily, the rollout of the Speed Update will be relatively slow, so there’s still time to prepare and ensure your hard-earned rankings aren’t damaged by the change. First things first, and this one may be a no-brainer, but ensure your site is mobile-friendly before you do anything else. Google has made this easy to determine through their Mobile-Friendly Test tool, which quickly analyses any URL (you don’t have to be the owner) to give it a pass or fail. You don’t even need to visit the tool itself, simply search “mobile-friendly” on Google and run the test straight from the SERP. Using Flash – mobile browsers cannot render Flash, so anything on your site that relies on that will not display properly to mobile users. This includes elements like navigation, animations and content itself. Small font – font size is vital on mobile devices, so if yours is too small to be read, you won’t pass the test. You don’t want your users to have to zoom in on your content to read it. Viewport configuration – if you haven’t specified a meta viewport tag, different browsers won’t know how to scale your pages to suit each device. This should be responsive to match the device’s screen size. Touch elements – ensure your touch elements, like navigational links, are well-spaced and easy for users to tap. There are few things more frustrating than hitting the wrong button on your mobile. But, it’s not enough just to have a mobile-friendly site, it needs to be responsive. A responsive website will look its best on any device, which is what every user wants. 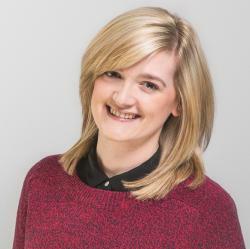 With technology rapidly changing each year, it’s vital that your site can keep up. Responsive web design ensures your layout changes depending on the size of the device being used. It allows developers to input one single page of code that renders content in a usable format for each device, rather than having to change the code for every possibility. It also means you can have just one URL that adapts to each device, rather than a separate mobile site. While you can still do this, it is a dated trend that Google may well crack down on in the near future. What’s more, an m-dot site is likely to feature slightly different content to that of its desktop counterpart, which may well hinder your rankings in a mobile-first world. Google favours mobile and desktop sites where the content, meta data and structured markup is the exact same. If these differ, pages could lose crucial authority and thus, relevance in search engines. 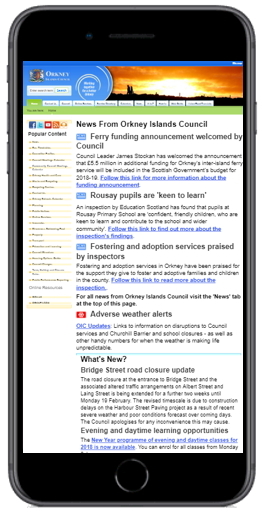 Unresponsive mobile sites, like the example shown above, are not user-friendly on handheld devices. They are often difficult to read and navigate, as they do not scale properly, and most users would abandon the site as a result. Sites like this are exactly what Google wants to diminish and will be hit hardest when mobile-first indexing becomes the norm. You may choose to opt for a dynamic serving site instead, which allows you to serve different HTML and CSS on the same URL, depending on the user agent. Dynamic sites utilise different code for each device, but keep everything on the one URL, which prevents any issues you might encounter with a separate mobile site. The advantage of dynamic serving is the ability to adapt content to suit each device’s capabilities. You can remove large files that won’t lend themselves well to mobile, as well as specify what users will see on each device to give a unique experience. This can also be a drawback, however, as it can be expensive and time-consuming to build individual websites. Whichever design you choose, make sure it’s fast. Site speed has been a ranking factor since 2010, so it comes as no surprise that a slow mobile site won’t fair well. Users are getting more and more impatient when it comes to site loading times, especially on handheld devices. According to Google’s industry benchmark, the average time it takes to load a mobile page is 22 seconds. However, 53% of users abandon a site that takes longer than three seconds to load – that’s a lot of lost visitors. 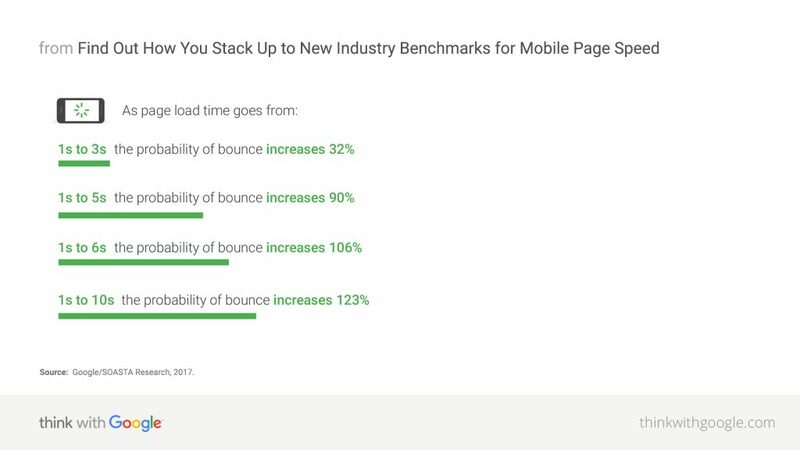 Unsurprisingly, the longer your page takes to load, the more users are likely to bounce away from it. To ensure your site is as speedy as possible, you can run it through Google’s testing tool. This will tell you how long your site takes to load on 3G network, as well as estimated visitor loss as a result. The tool also provides an industry comparison to see how you shape up and recommends top fixes to improve your site speed. You can also use PageSpeed Insights to help identify issues and how to fix them to optimise mobile experience. Leverage browser caching – when caching is enabled, page load speeds can decrease as the required files are already stored on the device. Optimise images – images can take up a surprisingly amount of bytes on a page. Compressing and properly formatting your pictures can save data and noticeably increase performance. If you really want to deliver the fastest experience to users, Accelerated Mobile Pages (AMP) is the way to go. Simply put, AMP is a way to build web pages that load much faster on mobile devices, providing users with instant content. They can only be created for static pages, i.e. content that doesn’t change, but they are pre-rendered in the SERP to allow for immediate viewing when clicked on. Common for news articles and blogs, you’ll recognise AMP by the lightning symbol at the top right of the card. It uses an open-source framework, which means a variety of platforms can use it to host their content, such as Twitter and Pinterest. 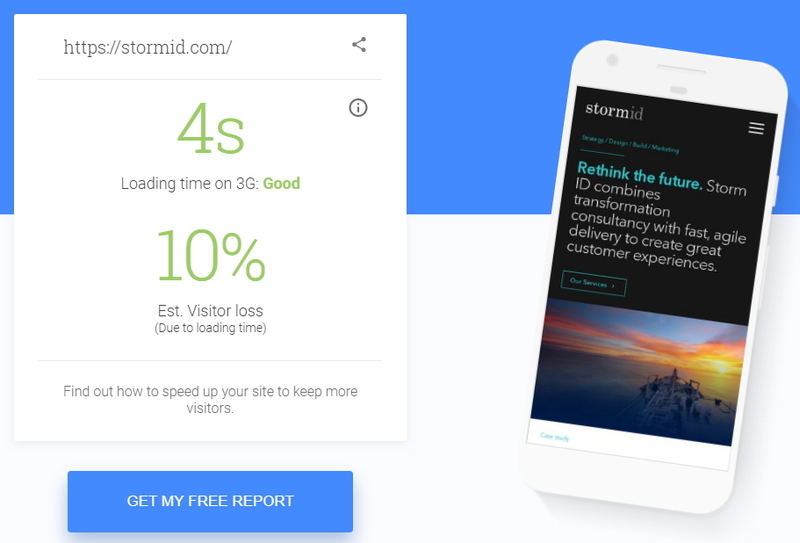 Not only does AMP increase the page load speed, but it increases your chances of being included in the SERP carousel, which will almost certainly send more traffic your way. 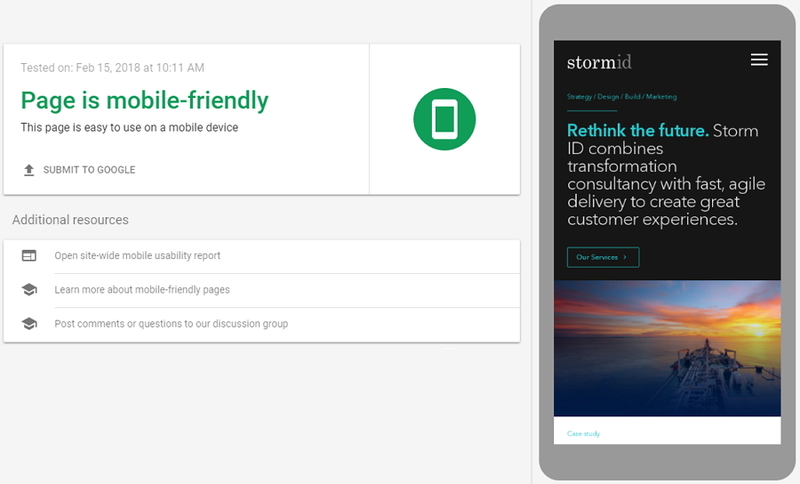 While it’s vital to ensure your mobile site is technically sound, it’s just as important to provide mobile-friendly content. While the rise of mobile devices to consume content has benefited us in many ways, it has also significantly reduced our attention span. It’s important to cater to every user with a variety of content, including videos, infographics, images, and even GIFs. That doesn’t mean to say users won’t give your long-form content the time of day. As long as you make it compelling, most users will happily read it. Be sure to make it easily digestible by incorporating headers, images and so on, as well as maintaining the fundamentals of mobile-friendliness like good font size and scale. There’s a lot to consider in preparation for mobile-first indexing, but you don’t have to do it alone. Our free SEO audit can uncover any issues you need to address, as well as analyse your chosen competitors to ensure you’re ahead of the pack.